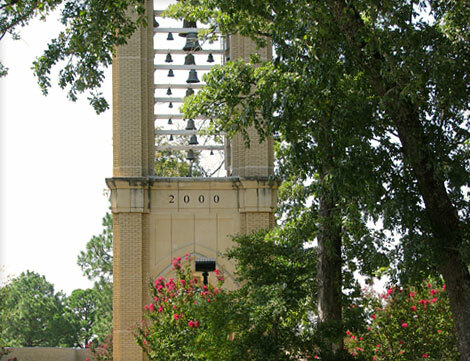 The Riter Millennium Bell Tower was constructed just prior to the year 2000. 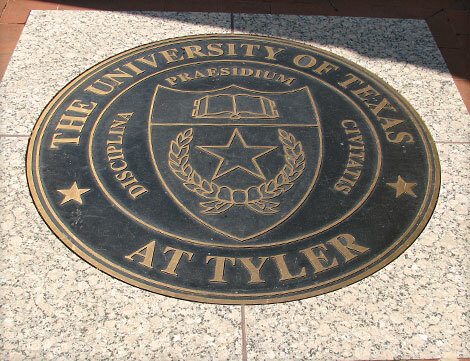 It was the hope of the administration that the bell tower and its site would become the trademark image of the University of Texas at Tyler. 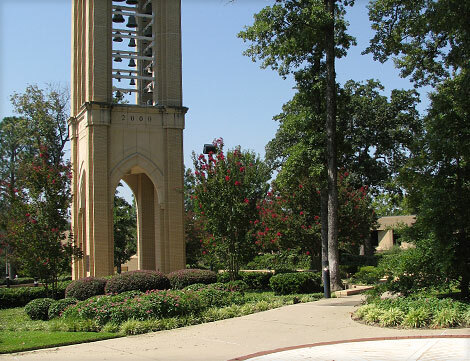 The site selected for the construction of the bell tower was a traffic circle located in the front of the administration building. 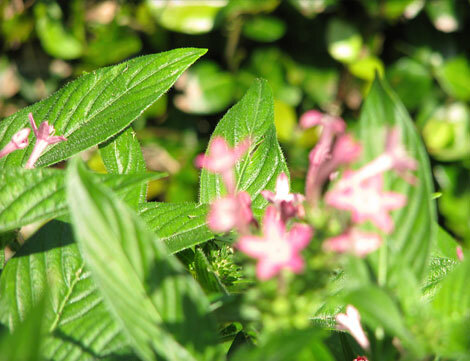 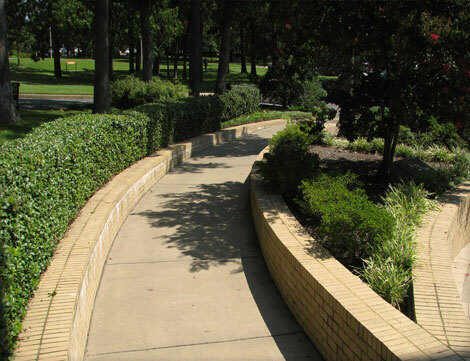 As with virtually all sites in east Texas, the topography of the location presented a challenge. 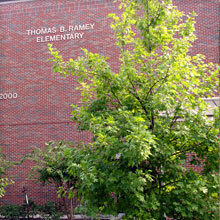 The site was blessed with many large oak trees while having a change of elevation from one side to the other of ten feet. 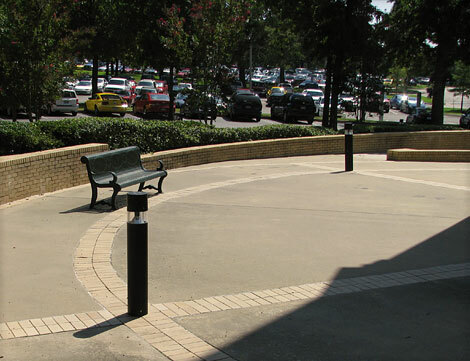 The final design of the bell tower landscape site development provided full access to the tower and the plaza around its base, without the use of any steps or handicap ramps. 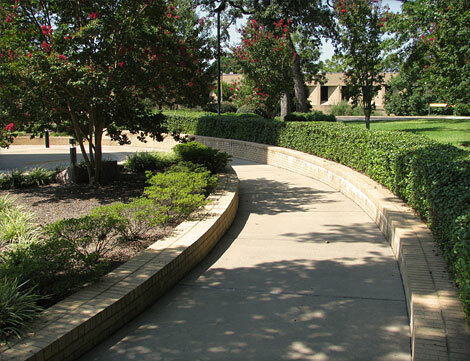 Careful study and design provided a series of curving, sloping walkways that takes a person from the outside of the traffic circle to the interior of the bell tower plaza. 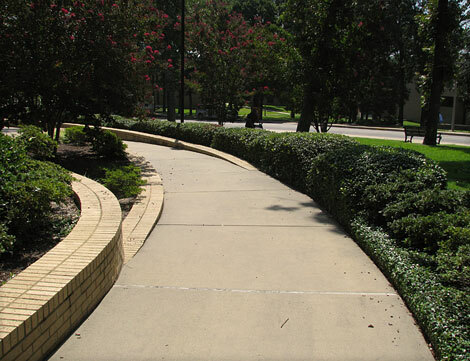 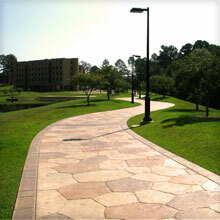 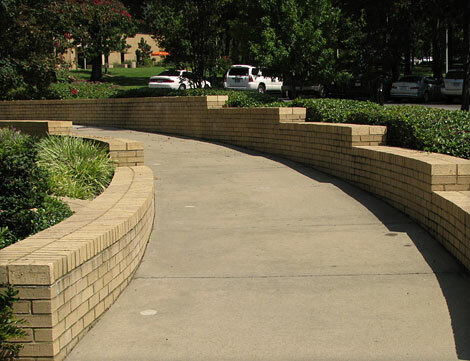 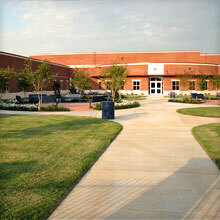 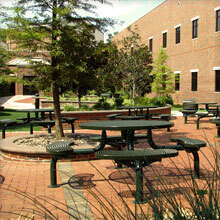 Landscape development that emphasizes the curved walkways adds to the overall atmosphere. 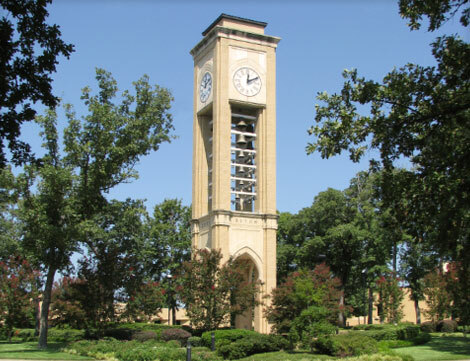 The Riter Bell Tower is a signature element of the university. 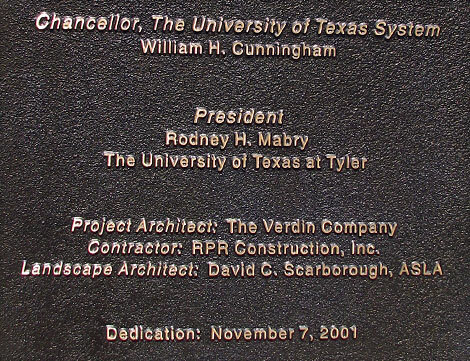 There have been many photographs taken at the base of the tower by parents recording their children's adventure into the university life, as well as several marriage proposals extended beneath the tower (most of them accepted).